Syntec Optics uses well-established principles to design, optimize and calculate the performance of optical coatings. An optical coating is one or more thin layers of material deposited on an optical component such as a lens or mirror, which alters the way in which the optic reflects and transmits light. The spectral performance and other key characteristics of optical thin films are determined by the structure and number of layers in the coating, the refractive indices of the materials used and the optical properties of the substrate. 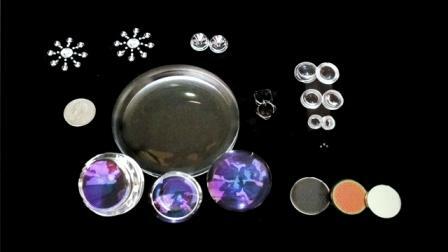 Various materials can be used in optical coatings depending on how the light needs to be manipulated. Metals are the simplest form of reflectors, while many layers of alternating high and low index dielectrics can provide an extremely high reflector with the correct design. Conversely, dielectric materials can also be used to create an anti reflective coating. For all your optical coating design needs, connect with us at SyntecOptics.com. We offer complete optical coating design solutions to enhance the performance of your optical systems.